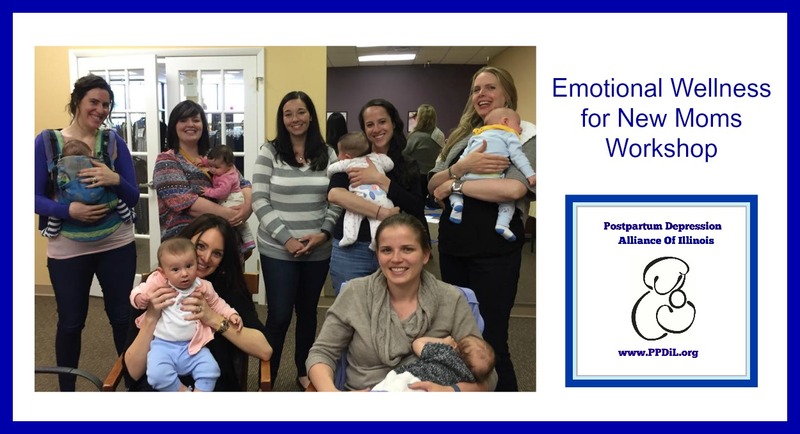 Postpartum Support International conducts free open forum sessions every Wednesday for moms and first Mondays of the month for Dads Via 800 bridgeline. Imagine the benefits of being able to talk with a PSI PPD expert about resources, symptoms, options and general information about perinatal mood disorders from the privacy of your own home. No need to arrange child care or transportation. No need to pre-register or give your name. Sessions are informational only and open to anyone with questions and concerns about themselves, a loved one, friend or family member. Limited to the first 15 callers. Click here for the call schedule and access codes, or call PSI’s main office at 1-800-944-4773 for further information. May 2019 – Maternal Mental Health Awareness Month! Annual Cubs Fundraiser Tickets Go On Sale! Our Cubs Game annual fundraiser is usually in May as part of our Maternal Mental Health Awareness Month campaign but we are trying something different this year and the game is going to be on September 15th at 1.20pm Wrigley Field. Tickets will go on sale to the general public on May 1st! Partners and babies are also welcome. Pre-registration required by Monday May 6th 2019. Call PPD IL Alliance director Dr. Sarah Allen on 847 791-7722 to register or for more information click here. May 18, 2019 at 9:00am at Fabbrini Park, 1704 Glenlake Road in the Hoffman Estates Park District. A one-mile scenic walk around the lake begins at 10:00 a.m. Strollers are welcome! We have snacks, activities for the kids, and a raffle. Our goals for this Walk and Play-date are to inform the public about pregnancy and postpartum depression and anxiety, to provide hope and support to the many families who are experiencing or have experienced this misunderstood but very treatable illness and to raise funds to further grow the AMITA Health Perinatal Intensive Outpatient Program and to continue our ongoing support that benefits the wellness of our community. Thanks to community support like yours and the generosity of our own OB/GYNs and Pediatricians, we were able to start the AMITA Health Perinatal Intensive Outpatient Program in August of 2015. This unique program provides mental health programming and support for families and babies in a warm, therapeutic setting. It is the only program of its kind in Illinois, and one of only ten in the country. Many parents in our community successfully completed the IOP Program and have experienced growth and healing because of your generous donations. For more information, please contact Lita Simanis at 847.755.3220 or lita.simanis@amitahealth.org. or call PSI directly on 503-894-9453. The 2019 conference will be in June 26 – 30 check this page and other training events are listed on this PSI page.